Jan. 31, 2019 5:30 a.m.
A Kelowna parent is calling on the city to contribute funds to build a replacement for Rutland Middle School. Cadre Simpson says the city has a role to play in replacing RMS, stating Rutland students are being left behind as funding is allocated in greater significance to new schools built in newer and more affluent subdivisions. Simpson feels Development Cost Charges developers pay to the city could serve as one potential source to help cover the cost of a replacement school. 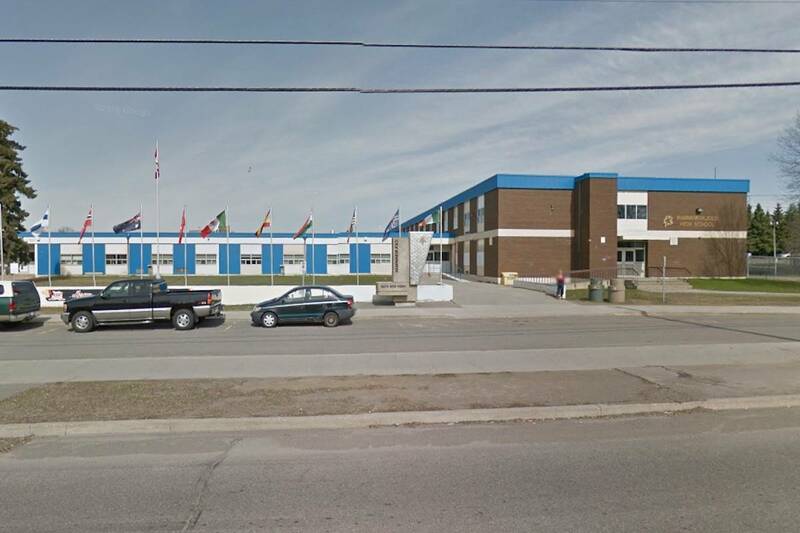 “I know what the city is going to say, they are working with developers to set aside land for new schools in these new developments, but the problem is the older, established neighbourhoods with outdated school facilities are being left behind,” Simpson said. “I know it is a complicated, layered issue. But it is a layered, class issue. The parents feel it and the students feel it,” added Simpson, who moved to Kelowna eight years ago. Simpson made her comments during the public comment portion of Wednesday’s school board meeting after trustees had debated what steps to take in the wake being informed by the education minister in a letter that replacing RMS was not an immediate priority for the education ministry, that putting up new schools and addressing seismic safety issues in Lower Mainland schools had greater precedence. Simpson, who doesn’t live in the RMS catchment area and her kids attend other schools, said a municipal government setting aside DCC revenue to replace RMS is not standard operating procedure for school replacement funding, but the current situation at RMS requires outside-the-box thinking, and that doing nothing was not an acceptable option. She applauded the school board for continuing to lobby political officials and write letters of protest over the delays in replacing RMS, but acknowledged so far it has done little to swing the ministry’s thinking about funding priorities. “It is a complex problem but it is also so blatant. Look at what the new Mar Jok school (in West Kelowna) or the new middle school in the Upper Mission look like, and look at what the other houses around it look like, and then you walk into RMS and think no child should have to be educated in this building,” she said. She said the socio-economic and ethnic diversity challenges faced by many Rutland students demands a greater response to update or replace RMS than has been shown so far. Trustee Norah Bowman told Simpson that frustration over a lack of funding commitment to replace RMS in no way signals a lack of empathy for the Rutland community from the school board’s perspective. Bowman said she is deeply concerned about the situation at RMS, that students are not receiving the same level of education opportunities that students in other schools are within Kelowna. “We don’t have the answers yet on how to fix it but we are very aware of the inequality issue,” she said. She also said it was unacceptable that disabled students who attended RMS feeder schools are forced to transfer to Springvalley Middle School because RMS has access issues, leaving behind their friends and face adjusting to an unfamiliar learning environment. The school is in violation of existing disability access requirements mandated by the province, but the school falls under the “grandfathered in” clause, meaning it was built long before those regulations were adopted and isn’t held accountable to meet those updated standards. School board chair Moyra Baxter echoed Bowman’s sentiments, saying replacing RMS will be on the agenda when the board next meets with city council and the local MLAs in the coming weeks. “We need to keep at it and keep reminding the ministry of education in the hopes something will happen,” she said.